Although I had no personal connection with Harold Ramis, his recent death from autoimmune vasculitis is tragic to me. Mr. Ramis' work in Ghostbusters and Ghostbusters II affected me in an unequivocally positive manner. As a child growing up in a region rightly dominated with the likes of Terry Bradshaw, Franco Harris, Lynn Swann, Roberto Clemente, Willie Stargell, and Mario Lemieux, I longed to find heroes to whom I could fully relate. Of course Jonas Salk, Andrew Carnegie, Henry Frick, and George Westinghouse were also figures who loomed large, they were, however, from prior eras or not readily available. Onto the scene came Ghostbusters in 1984. While the premise of grown men fighting ghosts might seem silly, it was the romanticism of the movie that irrevocably captured me as 9 year old child. In many ways, I believe my passion for infectious disease was--in some small part--motivated by a love for the movie. While microbes are real entities, battling them can be thought of in a similar vein as the travails of the Ghostbusters. As an infectious disease physician facing much less daunting tasks than the end of the world, I think of myself, perhaps foolishly, as being in the spirit of Dr. Egon Spengler, Dr. Peter Venkman, Dr. Ray Stanz, and Winston Zeddemore (paradoxically actor Ernie Hudson actually has a PhD). 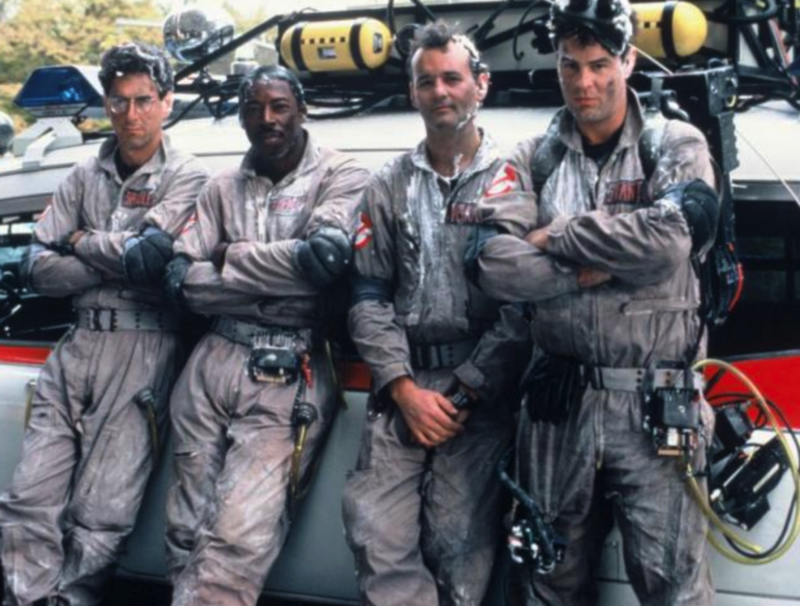 And, when I don my Ghostbusters t-shirts or my white coat--a few degrees less powerful and cool than a proton pack--I feel a kinship with 4 heroic characters that will be with me always.